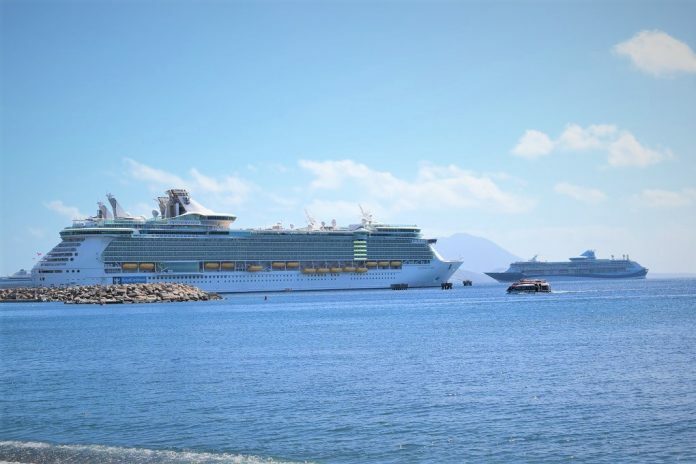 BASSETERRE, St. Kitts – The St. Christopher Air and Sea Ports Authority (SCASPA) has assured stakeholders that the imminent project to expand the marine facilities at Port Zante through the construction of a second cruise pier to the immediate west of the existing one to allow the port to accommodate ships in the design class of “Oasis of the Seas” will have minor impact on the environment and surrounding areas, according to findings of a completed Environmental Impact Assessment (EIA). The initial EIA was completed in December 2013 and revised in July 2017. The principal author of the revised EIA is Dr. Ravidya Burrowes, managing director of Environmental Management Consultants (Caribbean) Ltd. out of Jamaica, who holds a doctorate in geology from the University of the West Indies. The United Nation Environment Programme (UNEP) defines an EIA as a tool used to identify the environmental, social and economic impacts of a project prior to decision making. It aims to predict environmental impacts at an early stage in project planning and design, find ways and means to reduce adverse impacts, shape projects to suit the local environment and present the predictions and options to decision makers. By using EIA both environmental and economic benefits can be achieved, such as reduced cost and time of project implementation and design, avoided treatment/clean-up costs and impacts of laws and regulations. 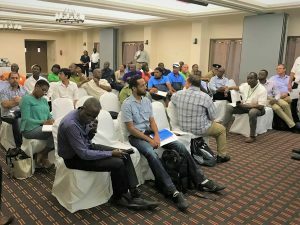 The stakeholders were assured that impact from dredging operations and construction activities in relation to the second cruise pier would be minimal. Some of the impacts studied in the EIA included air quality in and around the construction staging area; increased coastal lighting and its impact on any nesting or hatching turtles; ambient noise levels and its impact on surrounding area; water quality related to pollution due to dredging and construction activities; sediment contaminant levels; disturbance of seagrass communities; the destruction of coral reefs and associated fauna; navigational nuisances to other sea users; habitat change; and construction traffic, only to name a few. Port operations during construction will not be affected in a significant way. The existing pier and cruise pier terminal will be operational during the construction period. The stakeholders meeting was held at the Ocean Terrace Inn on March 23. Stakeholders at the meeting came from a number of organizations including the Ministry of Health (Environmental Health), St. Kitts Department of Maritime Affairs, Liamuiga Taxi Association, St. Christopher Heritage Trust, Ministry of Tourism, St. Kitts and Nevis Information Service, TDC Group of Companies, St. Kitts Nevis Anguilla National Bank Ltd., AdeB Consultants Ltd., Ministry of Public Infrastructure, Ministry of Sustainable Development, CONTEC DT, Blue Water Safaris, American Bridge, St. Kitts and Nevis Fire and Rescue Services, St. Kitts and Nevis Hotel and Tourism Association, Mooring Boat Operative, St. Kitts Tourism Authority, Public Works Department, OCEAN, Tropical World, Department of Physical Planning, Royal St. Christopher and Nevis Police Force, JV Driver, Wesk Agency, and St. Christopher and Nevis Social Security Board. 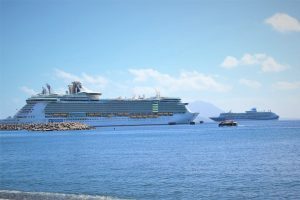 The commercial construction contract for building the second pier was signed between the St. Christopher Air and Sea Ports Authority (SCASPA) of the government of St. Kitts and Nevis and the Canadian Commercial Corporation (CCC), a crown agent of the government of Canada, which is the prime contractor with JV Driver as the prime subcontractor. SCASPA’s engineer is AdeB Consultants to work alongside the Director of Public Works Cromwell Williams. The lender’s engineer is EF Douglas and Associates, with Principal Consultant Errol Douglas.